Add some fun and function to your kitchen with our Chef Peppermill, Salt Mill and Salt Shaker! Add some fun and function to your kitchen with our Chef Peppermill, Salt Mill and Salt Shaker! 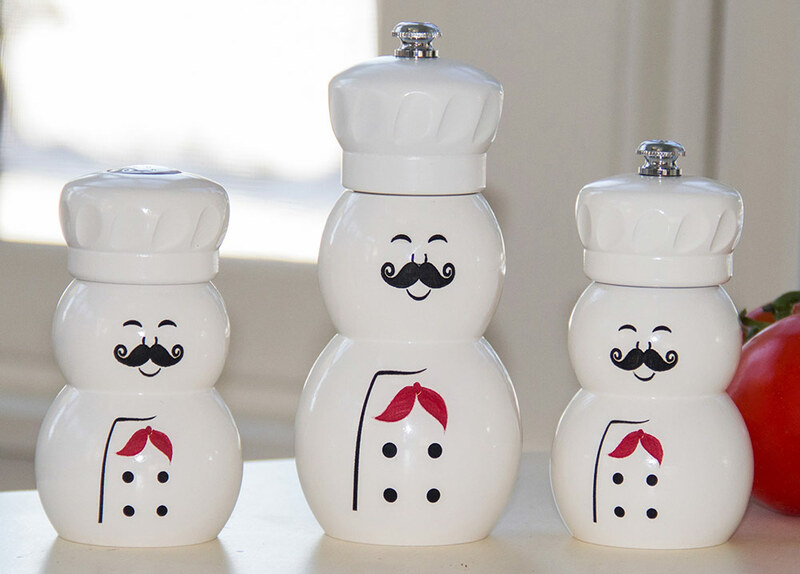 Complete with mustache and chef’s hat, these handsome guys come in a 4” pepper mill or salt shaker and a 6” pepper mill or salt mill. He’ll always be by your side in the kitchen! Each mill and shaker is Made in USA from the finest quality hardwoods, just like all Fletchers’ Mill pepper and salt mills. Add some fun and function to your kitchen with our new 6" Chef mills.